BreakOUT! Launches Media Campaign to #MakePennyProud – BreakOUT! 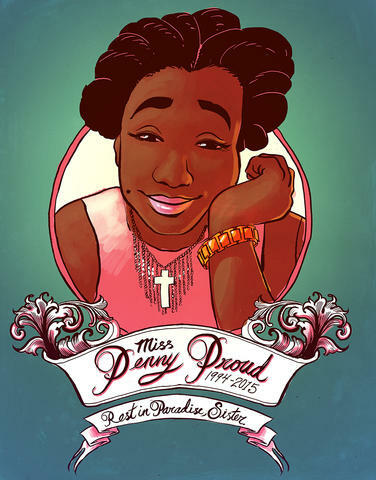 We’re kicking off #MakePennyProud and our #BlackTransLivesMatter campaign with a Twitter Rally on Friday, March 6th at 1pm CST // 2pm EST. Join us on Twitter using hashtags #MakePennyProud and #BlackTransLivesMatter and stay tuned for more BIG announcements in our media campaign! Thank you, Erin Wilson, for the beautiful portrait of Penny! UPDATE: Here’s our Tagboard and our Storify from our #MakePennyProud Twitter Rally!